A new exploratory tunnel approved by the state of Colorado on Mt. Emmons will likely be reviewed by a state board. Last week, Western Mining Action Project filed a petition with the Colorado Division of Reclamation and Mine Safety (DRMS) on behalf of local environmental group High Country Citizens’ Alliance asking for a hearing before the Mined Land Reclamation Board. 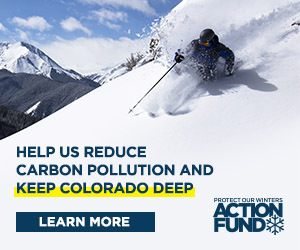 On Tuesday, March 11, local environmental group High Country Citizens’ Alliance (HCCA) was notified by the Colorado Attorney General’s office that the seven-member board will likely hear the group’s arguments although it’s not a certainty. The hearing is tentatively scheduled for Wednesday, April 9 in Denver. If built, the 8×10-foot tunnel, called a “drift” by miners, will be approximately 3,600 feet long and used to collect core samples from the ore deposit. The samples will be used to evaluate the mine’s economic viability for Lucky Jack project developers, U.S. Energy and Kobex.